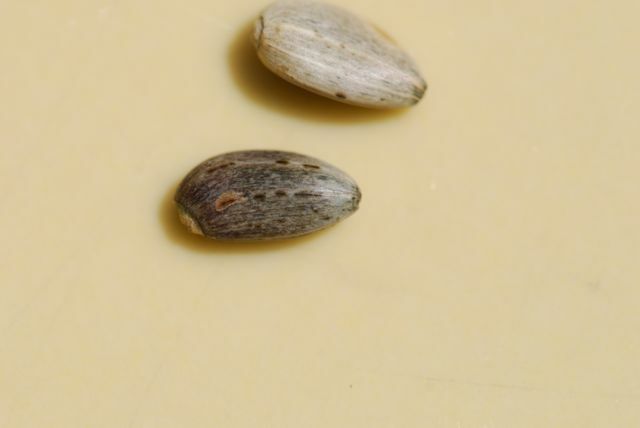 Our multi-speckled mystery seeds from last week were from a globe artichoke, Cynara scolymus. Originally from the Mediterranean region, artichokes are grown in warmer regions throughout the world. They are cultivated perennials that are related to wild thistles. 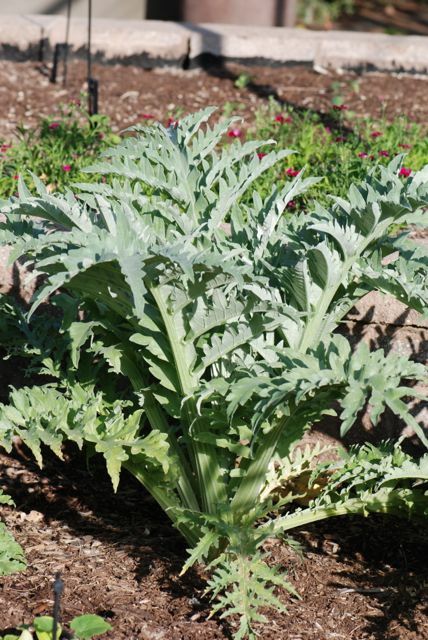 Mature artichokes can reach five feet tall and have large, lobed leaves. 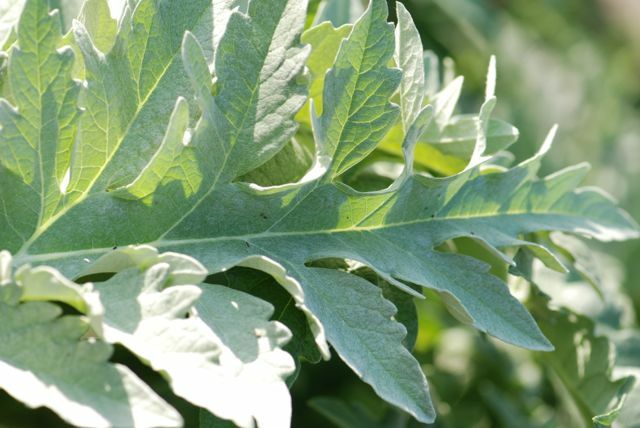 The leaves are silvery white, giving artichokes the potential to be interesting accent plants in the landscape. Of course, most people grow them in the vegetable garden for their edible flower buds. Most of the artichokes in the United States are grown in California. If you have never seen them growing, take a look at this video from a commercial artichoke farm. 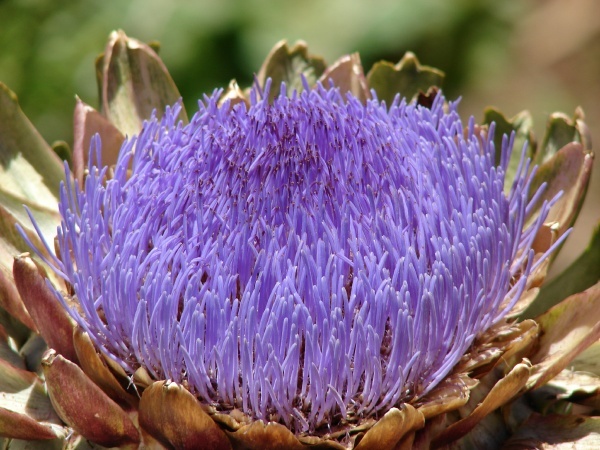 Have you ever seen an artichoke flower? If the bud is allowed to mature, it opens into a stunning purple beauty. If properly cared for, the flowers will produce seeds. 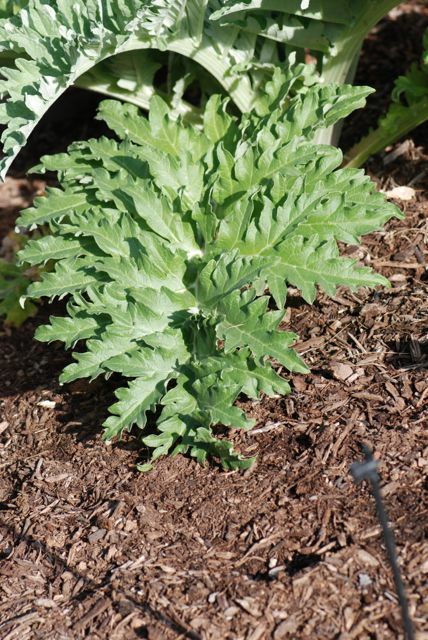 Artichokes can be grown either from seeds or from plant divisions or cuttings. Although they are frost sensitive, some varieties of artichokes can be grown in colder areas, especially with protection in the winter. According to the Virginia Cooperative Extension, Thomas Jefferson grew artichokes in his gardens at Monticello in Virginia way back in 1767! Have you ever grown artichokes? I am glad to find this web today for Artichoke Leaves. I am come from Caribbean Island and I know this leave since I was 18 year old and I know the vertu of it. I use it for many thinks, liver, hepathite, digestion, cholesterol, heart, ect.. and when I ask people to use it they have a good result and I cannot live without it. Now I am in the United States it is very difficult for me to find the leaves. When I first started here I brought a quantity but now I don't have any more. Could you please do me a favor to find some artichoke leaves? I will be happy to have it. Hope my request will take in consideration.